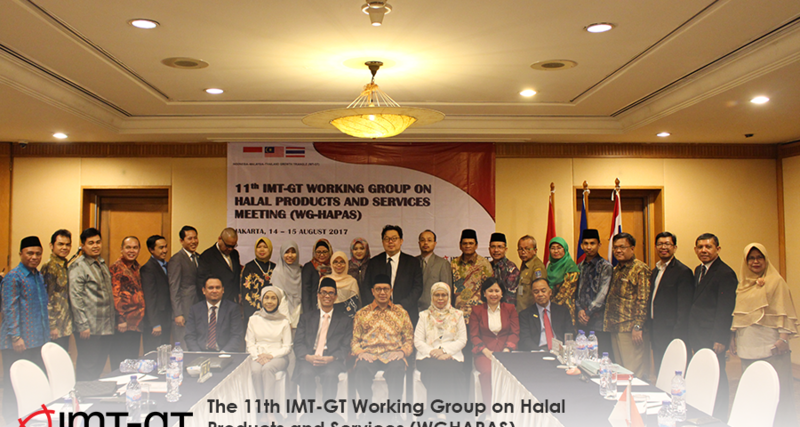 The 11th Meeting of the IMT-GT Working Group on Halal Products and Services was held on 14-15 August 2017 in Aryaduta Hotel, Jakarta, Indonesia. His Excellency Lukman Hakim Saifuddin, the Minister of Religion Affairs of Indonesia delivered welcoming remarks on opening ceremony. 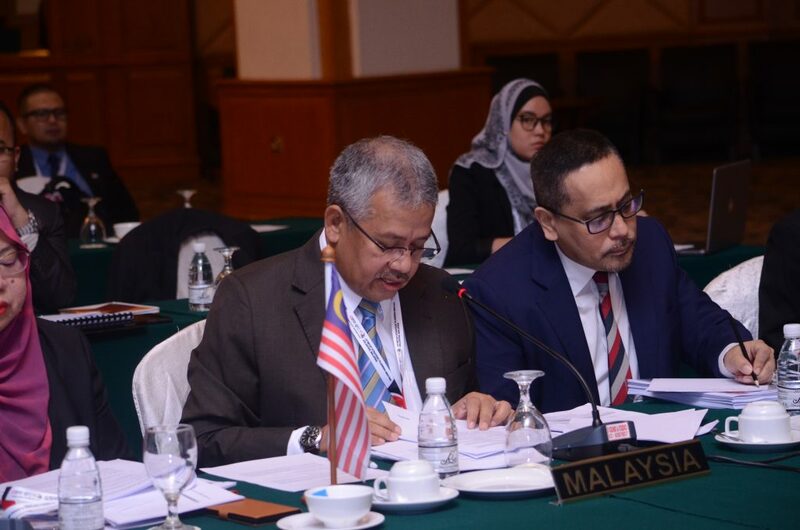 The Meeting was chaired by Mr. Raja Mohd Nizam Raja Kamarulbahrin, Director of Bumiputera Entrepreneurhip and SME Division, Ministry of International Trade and Industry. Indonesia’s Delegation was led by Prof. Ir. Sukoso, Chief of BPJPH, Ministry of Religious Affairs. Thailand’s Delegation was led by Ms. Sulida Wangchi, Assistant Director of the Halal Science Center Chulalongkorn University. 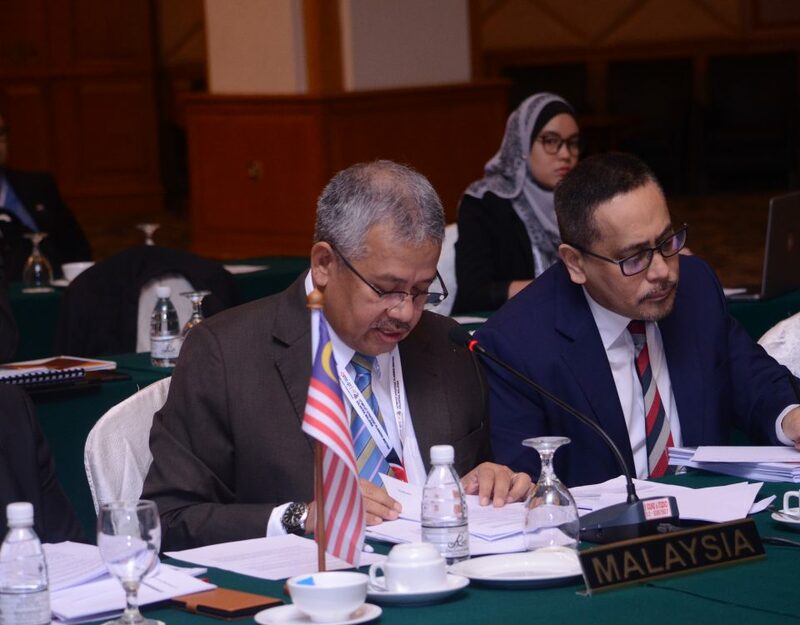 The Meeting was also attended by Dato’ Faudzi Naim , Head of Joint Business Council (JBC), Ms. Netty Muharni, Indonesia National Secretariat (NS), Mr. Chirapat Chotipimai, Thailand NS, Centre for IMT-GT Sub-Regional Cooperation (CIMT).